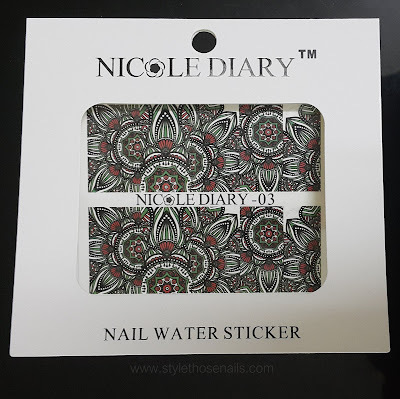 Today I have come up with a review post. 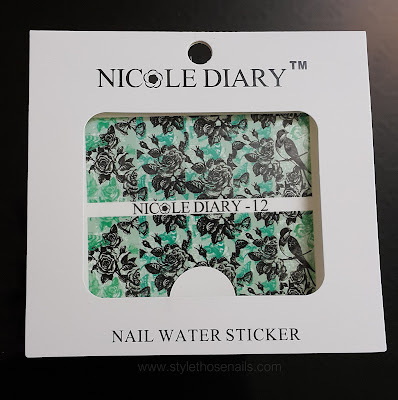 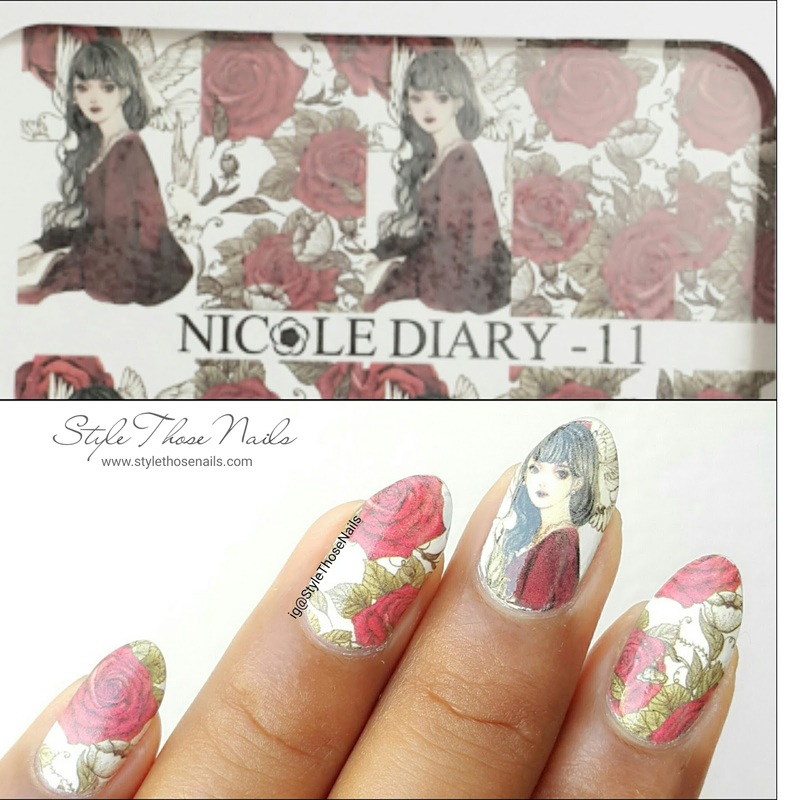 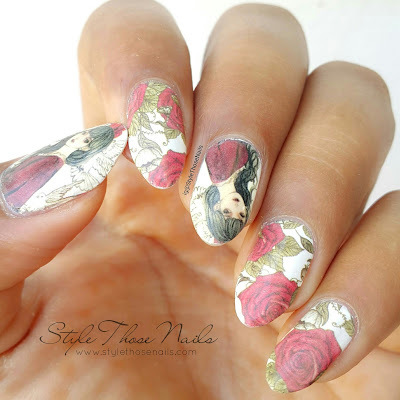 I was sent some water decals by Nicole Diary for review I will be sharing all the designs in two posts since I want to share all the designs with my lovely readers. 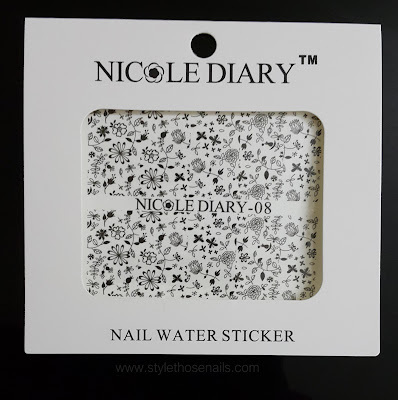 So let's get started. Nicole Diary No.- 03. 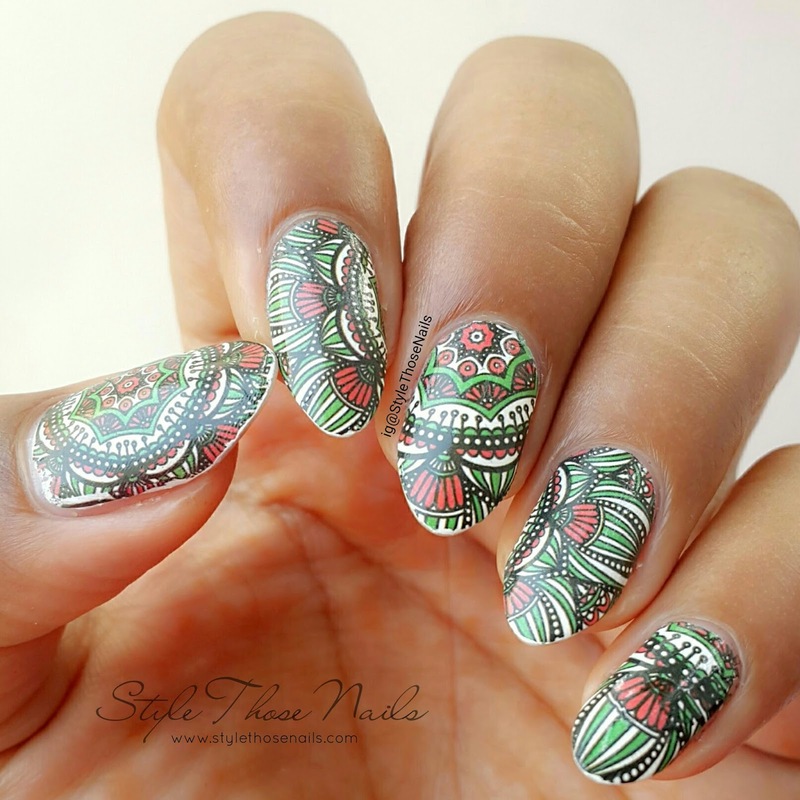 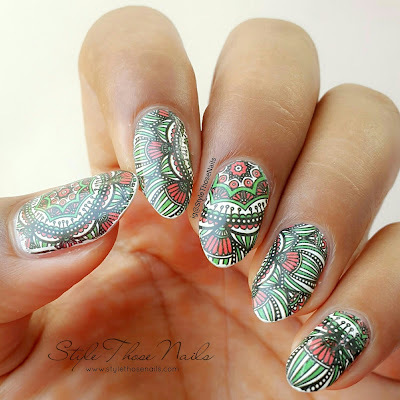 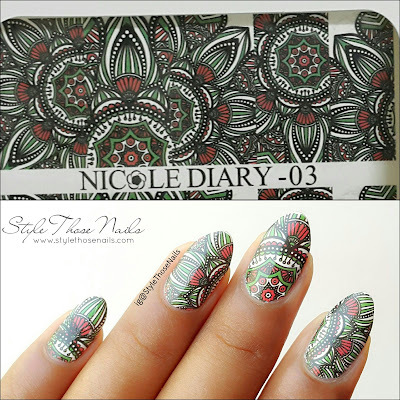 This is green black and red mandala style decal. 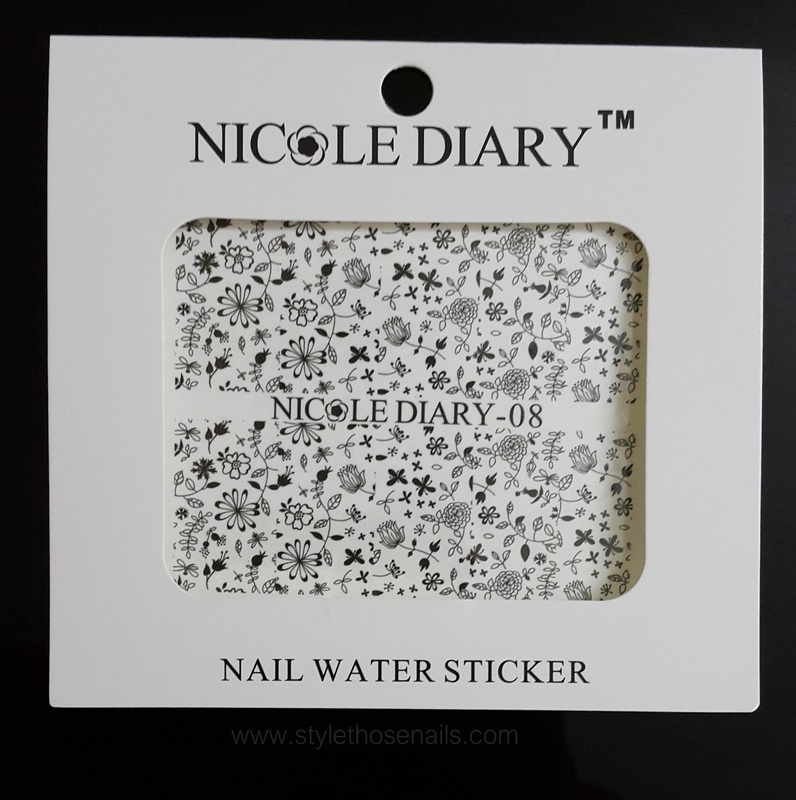 It is easy to use and has bright colours. Nicole Diary No.-08 Beautiful black and white delicate floral printed decal. 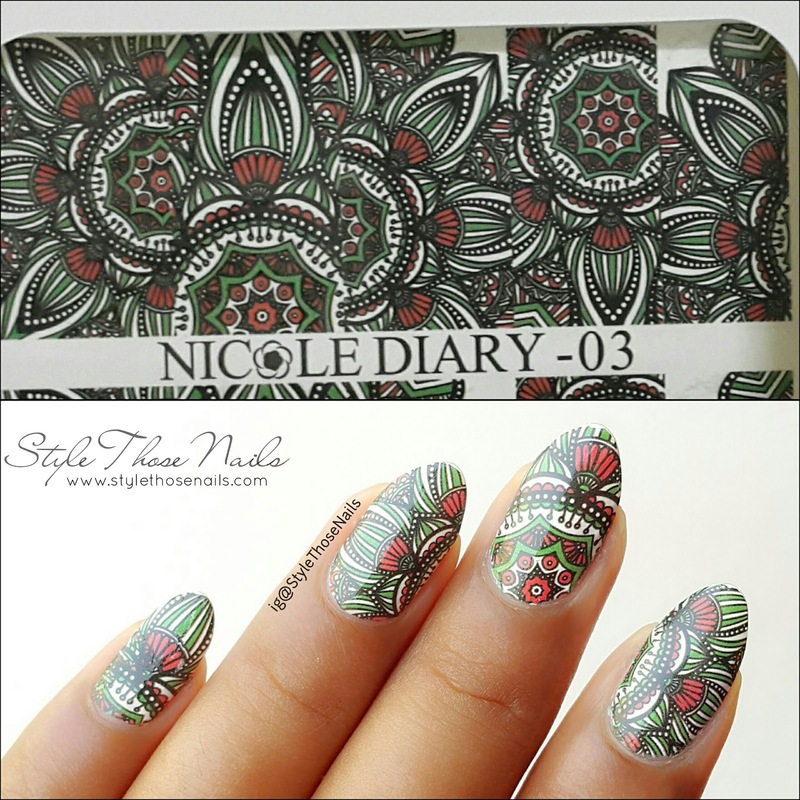 I added border to it which helped to stand the design even more. 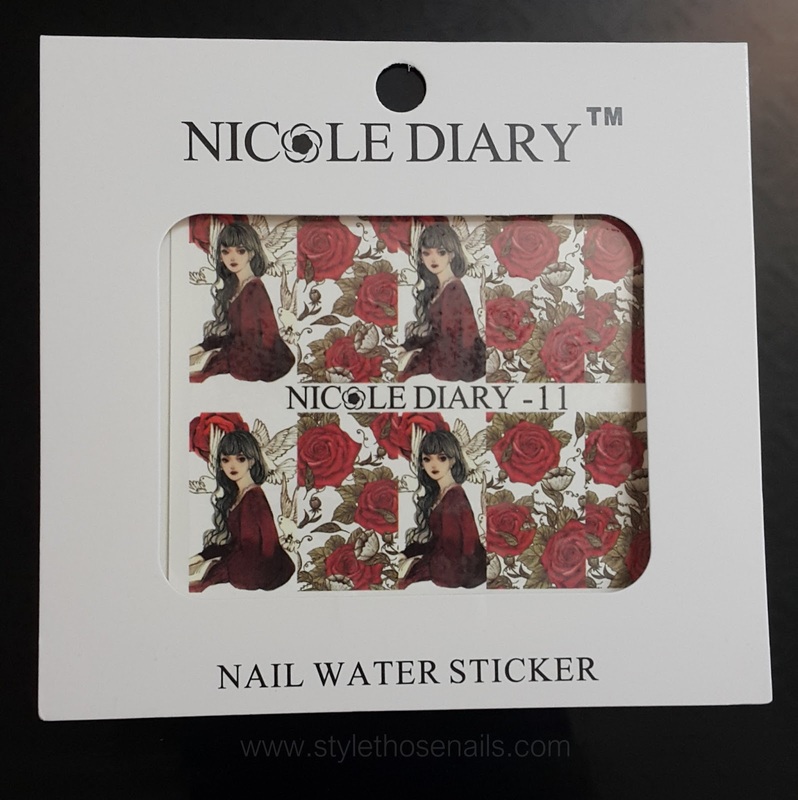 Nicole Diary No.-11 It's a beautiful vintage style decal. 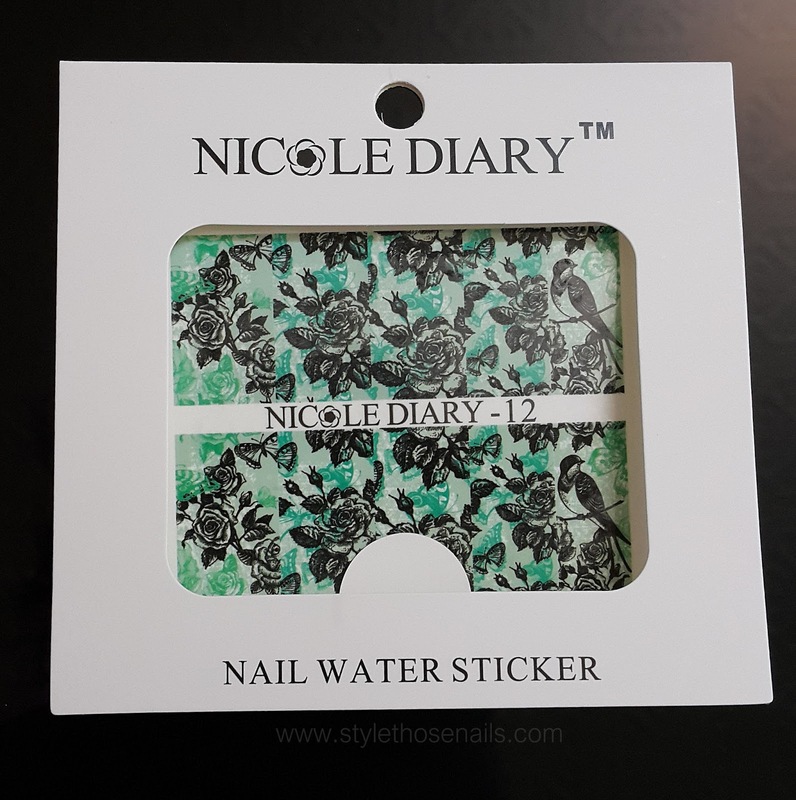 I really liked the design of this decal but the colours are not that vibrant as compared to other decals. 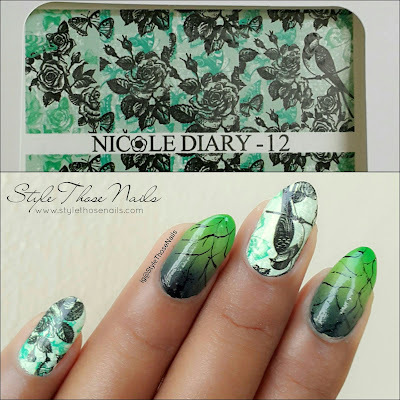 Nicole Diary No.-12 This is a pretty piece of decal with roses and bird on green back ground. 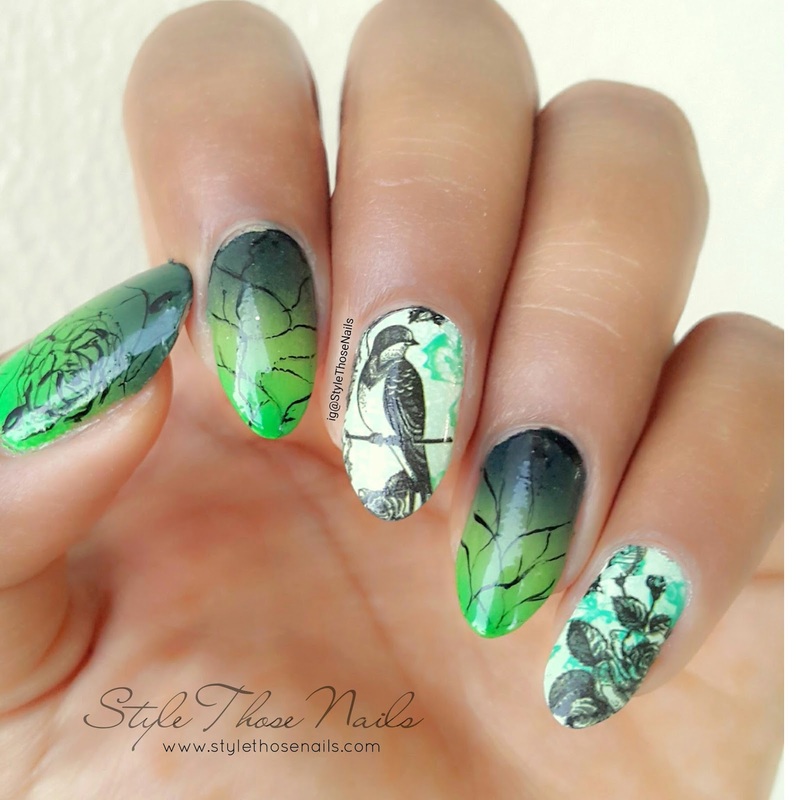 I used this decal as accent for my green and black gradient mani. 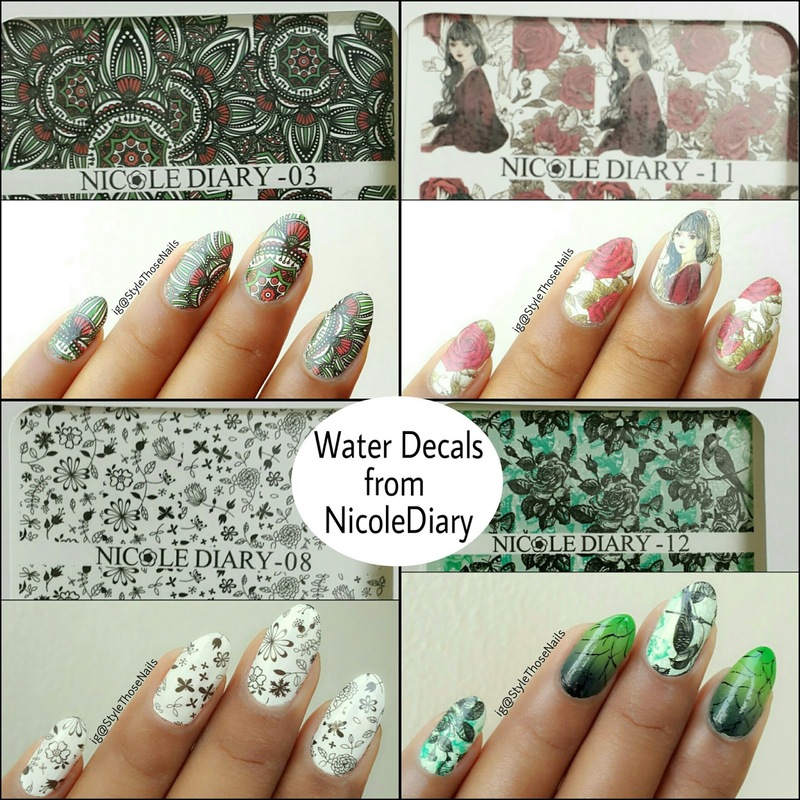 Overview: I really liked these decals. 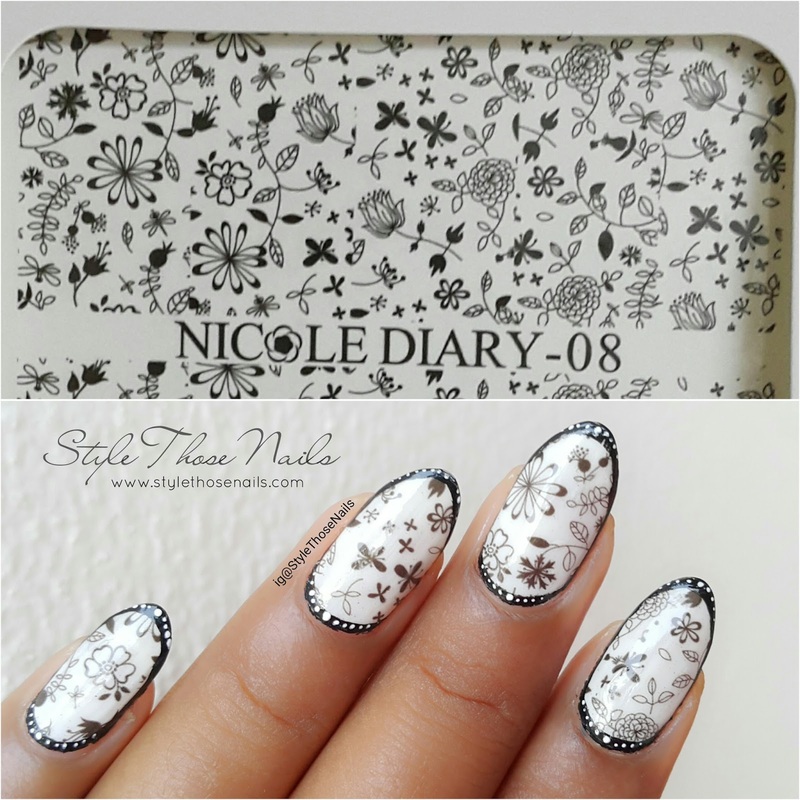 They are beautiful easy to use and of high quality. 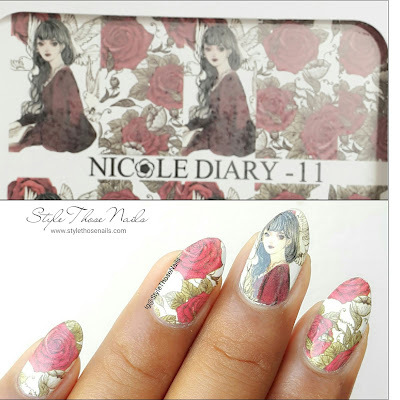 I hope you liked this post. Stay tuned for next part. Which one is your favourite design? Let me know in comments.